Being a while in the WordPress community and still fear you are missing something out? Or, you are just finding your feet and looking for the blogs you can dwell on? No worries! 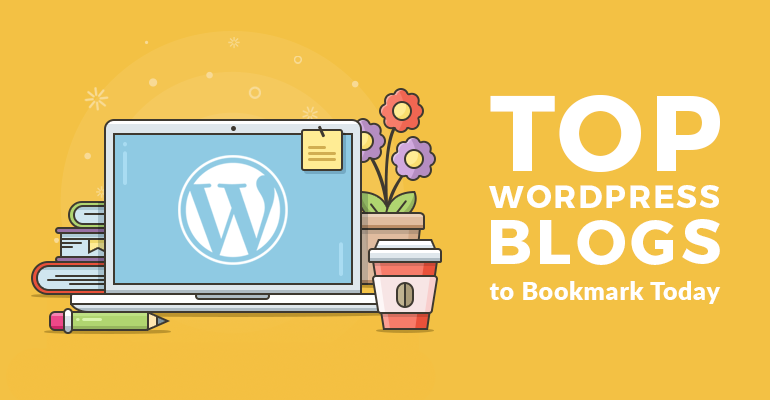 We’ve done some interesting homework and collected top noteworthy WordPress blogs that gained popularity thanks to the valuable content they share. We tried to choose the ones that are regularly updated, with a sort of easy lessons for beginners and some nerdy content for developers. There are dedicated WordPress blogs, personal blogs and company blogs. Each of them has something to say. Here are some picks of the best WordPress blogs in a random order! The journalists of this blog will deliver all the up-to-date news on the things happening in the WordPress world. So, if you are looking for the most objective articles on the WordPress core, themes, plugins, events (like WordCamps), interviews, analytics, you should grab a beer start reading them regularly. A great resource of WordPress opportunities, opinions, analytics and connections. They will let you stay updated on WordPress news and will deliver various data and opinion driven analyses of WordPress business, sharing success stories and tips along the way. One of the latest articles is about the future of WordPress economy, by the way, and is worth your precious couple of minutes! Posts of different calibers for different audiences who are one way or another connected to WordPress. Want to find the best gallery plugin? WPExplorer will direct you. Want to find a WordPress job? There are articles on this topic as well. Overall, this one is among serious established WordPress blogs aiming to provide you with quality resources. The supermen of WordPress world who will supply you with a ton of in-depth reviews, tutorials and tips. WPMU DEV has managed to build a growing community around their website, where experienced writers share awesome WordPress themes and plugins roundups, guides and more. WPBlog is a regularly updated WordPress blog focused on plugin and theme comparisons, to-the-point WordPress tutorials, a great collection of guides for eCommerce websites and casual interviews. WP Mayor is a regularly updated WordPress blog where you can get experienced advice on any topic. 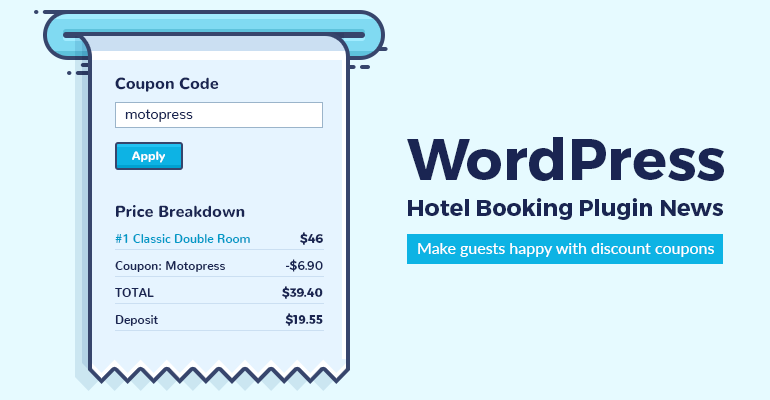 Their field of endeavor is huge: you may find a detailed article on how to choose the best e-commerce plugin, a list of the latest WordPress themes or a story about the latest WordCamp venues. Anything to your liking! A serious and comprehensive resource of WordPress tutorials, freebies, and reviews. One of the main emphasis is made on the marketing insights for the WordPress sites of any type, including social media marketing and e-commerce. The blog is up and running for almost 10 years! WP Kube is undoubtedly a trustful WordPress blog for WordPress users, developers and marketers. They generally publish professional pros&cons reviews of WordPress products and services, evaluate new products and create step-by-step WordPress tutorials. Be prepared for long reads! Guys are really rigorous in their work and will never publish any “filler” post. Multiple useful and in-depth WordPress market analyses, comparisons and product/services recommendations are waiting for you on this site. I’m sure it’s in the top 10 blogs list of every WordPress maniac. A cool WordPress blog with a variety of categories: plugin and theme reviews, hostings compared, SEO tools, books, marketing insights, quick WordPress tips, deals (coupons to buy WordPress plugins and themes with discount), detailed guides and anything you might need today or tomorrow. Awesome WordPress tutorials with the beginner in mind. The blog features must-have tools and a variety of guides to build your site without any tech help. It will help you figure out lots of things WordPress with a help of text and video content. If you are looking for an all-around WordPress blog with all types of info, this is a blog for you. Torquemag features business growing insights, a knowledge base for beginners, security tips, WordPress news, products reviews, opinions, interviews, and more. A site that WordPressers read constantly. The blog is all about website optimization on WordPress (a sensitive topic!). These guys created a great trustful community and help you improve your site through plugins, posts and simple tutorials. You’ll definitely need this bookmark to optimize your WordPress site for search engines properly. Actionable tips and firsthand advice from WordPress experts Chris Coyier and Jeff Starr. High quality techniques for developers and easy-to-follow tips for beginners can be found here. Guys share lots of tips that can be hardly found anywhere else! Word Impress is going to impress you with lots of interesting interviews with WordPress developers, analytics articles about WordPress and the team’s own experience of creating WordPress plugins and themes. A good bunch of unique content and opinions. ThemeIsle is a great resource for WordPress beginners that answers lots of common WordPress questions and provides simple how-to guides. Interviews and opinions can also be found here from time to time. Hard to find a good theme or the right plugin for your or client’s website? This site is good to solve such kinds of problems. They give a great expert advice on the best WordPress themes and plugins, reviewing them in details. A smart handbook of SEO tips can also come in handy. A giant resource for web professionals and beginners, WordPress category included. All the tutorials are written by real geeks, so you can trust their articles and opinions. As for the topics, they are diverse: in-depth SEO tips, the stuff for developers, automation, analytics, case studies, security tips, etc. Another well-known and established blog for designers and developers, where WordPress category is regularly updated. Here guys provide quick and simple actionable tips as well as more time-consuming courses. WP Superstars are good at WordPress beginner tutorials and overall marketing tips for increasing website engagement. They also share the “battle” comparisons of popular WordPress plugins and overall product recommendations based on firsthand testing and overall features. WebsiteSetUp is a one-stop solution for WordPress beginners. They will teach you how to create your first WordPress website step by step, no matter whether it’s a simple blog or an eCommerce business. Moreover, you’ll also learn how to optimize, secure and speed up your WordPress website with top professional tools. WP Theming is a good bunch of diverse WordPress-related posts, generally for developers. However, you may find lots of business and lifestyle posts, product recommendations and interesting interviews here as well. A rich resource of WordPress tips and tutorials, with lots of courses and business ideas. A good stop for those looking for a quick guide as well as a full-scale WordPress course. You won’t leave this site without a good suggestion of a WordPress plugin, theme or service. The website features tons of collections of trusted WordPress products. 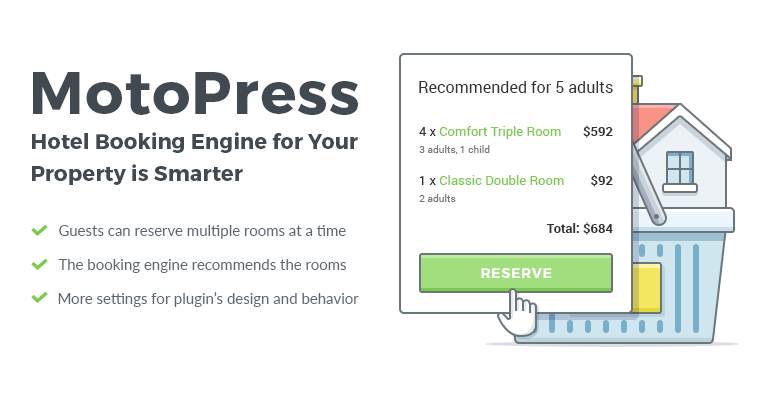 A must-read for people who sell WordPress plugins and themes. Here you’ll find lots of data-driven articles that will help you improve or find a new strategy for your business model. This is definitely a quality camp for WordPress marketing strategists and developers. Quick and simple WordPress guides that solve many common problems. Taking into account the variety of other website categories (SEO, design, marketing tips, etc), this website is one of those one-stop solutions for WordPress bloggers. A unique platform where WordPress enthusiasts share all types of WordPress articles from around the web. If you are deeply interested in the WordPress ecosystem and news, go read and upvote your favorite articles. Here you’ll find lots of great tutorials, WordPress ecosystem roundups, beginner’s guides, marketing tactics and more. All posts are quality thought-out write-ups. This regularly updated WordPress blog will help you improve your marketing and design skills, will provide up-to-date WordPress guides, plugins and themes roundups. Lots of interesting opinions and news also appear here sometimes. A nice resource generally shedding light on the WordPress multilingual resources. However, you may also find SEO, plugin and theme guides here too. One of the established WordPress blogs with lots of detailed articles: beginner’s guides, marketing and SEO tips, and beautiful plugins and themes collections. Here you may also find lots of interesting deals and get pretty good discounts on premium WordPress products by different providers. The cats are up for almost 10 years! They managed to receive a great publicity among WordPress developers and designers with their quick and simple guides. Kinsta is a WordPress hosting provider, but their blog also deserves attention! They write lots of useful WordPress articles on development and ecosystem analysis. Kinsta’s interviews with WordPress gurus are especially inspiring. Simply awesome blog for WordPress geeks with some cool projects like WP stats to check how much people love your free plugins. This is a relatively new WordPress blog with a full range of articles: SEO and performance tips, themes and plugins roundups, freebies, etc. If you want to read WordPress products reviews and feel the personal opinion, you should follow this site. A huge arena of WordPress articles: plugins and themes recommendations, website monetization tips, awesome comparisons, SEO and speed hints, and even more! Guys also provide a range of great services to ease your work with WordPress. A ton of tips and tricks for WordPress developers, beginners and marketers. Tran Ngoc Tuan Anh is a WordPress developer with more than 10 years of experience, who shares his expert reviews on this blog. A fan of the WordPress video content? All the fresh and interesting video interviews with WordPress influencers and meetups are here. A comprehensive WordPress security blog. It will dispel all the security myths and will make you a security guru. A real must for every WordPress website! One of the well-known WordPress influencers, who is always ready to provide a deep expert review of WordPress products and ecosystem, writing in an engaging essay manner you’ll love. Comparisons of WordPress competitors, unique marketing tactics, ecommerce advice are also regular topics here. If you are a fan of unconventional and in-depth personal takes on different WordPress, marketing and personal improvement related posts, you’ll love the honesty and expertise of Brian’s writing. A personal blog by Tom McFarlin where he shares his WordPress knowledge and lots of other lifestyle things. A good read for WordPress developers. A unique WordPress resource by Bob Dunn, with the main emphasis on ecommerce. If you are looking for an expert advice on how to monetize and improve your online business (in a any format: a guide, a lesson, a podcast), Bob’s blog is your secret weapon. Ryan is an experienced WordPress plugins and themes developer, he writes a ton of nerdy stuff for WordPress developers on his site. Pagely is great at writing specific problem-solving WordPress articles, featuring WordPress news and sharing opinions and expert reviews on different products and the overall WordPress ecosystem. Pippin Williamson is an authoritative WordPress developer and influencer. On his blog he sometimes shares personal reviews of different WordPress products and services, with lots of tech stuff too. The developers of a life-saving plugin of many WordPress developers – WP Migrate DB. On this blog they also post many actionable tips for busy WordPress developers. Codeless provides a huge knowledge base on first steps in WordPress, makes reviews of different products, writes step-by-step guides, shares SEO and marketing advice. Apart from product updates and releases articles, here you may find many roundups, plugins reviews and how-to guides you can dwell on. Some hot deals and sales can also evoke your interest! Keep a tab on WordPress things from around the web! And what is your favorite WordPress blog you cannot live without? Of course, there are much more of them than in our list!